Who are the victims of the Paris attacks? 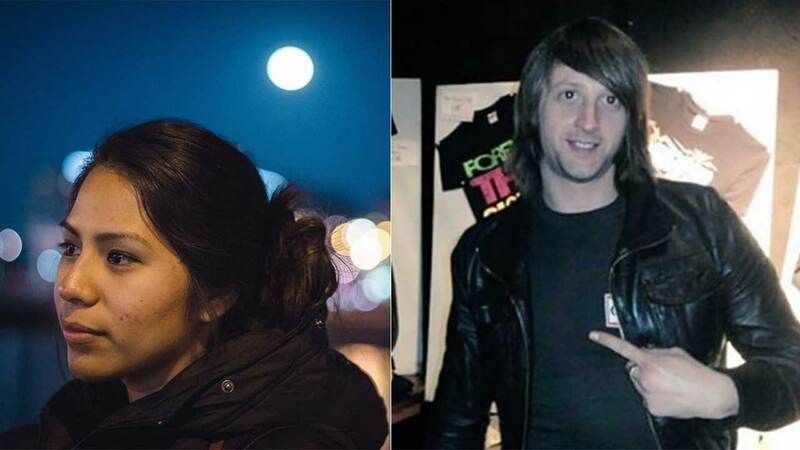 Nohemi Gonzalez, 23, of El Monte (left) and Nick Alexander, 36, of Colchester, England (right) were killed in the terrorist attack in Paris on Friday, Nov. 13, 2015. PARIS -- A young French lawyer specializing in white collar crime. An engineer from Spain. An American college student studying design on a semester abroad. They were among the first victims to be identified after the gun-and-suicide bombing attacks that killed at least 129 people in Paris. 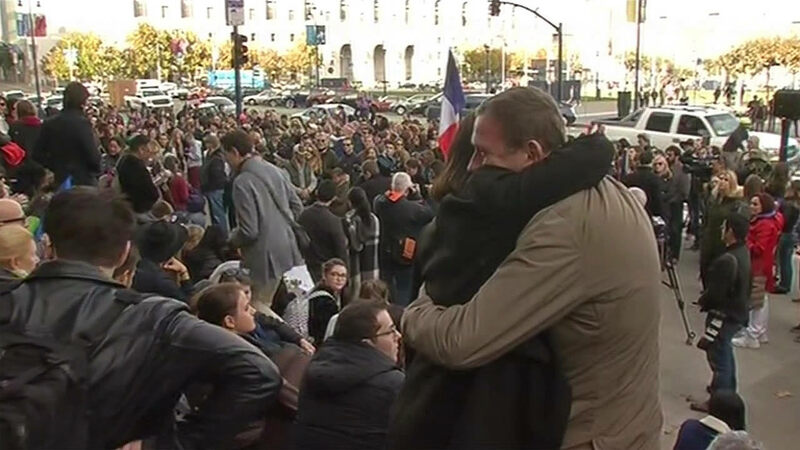 French Prime Minister Manuel Valls says that 103 bodies of victims have been identified. -Valentin Ribet, 26, a lawyer with the Paris office of the international law firm Hogan Lovells. He was among scores of people killed at a rock show in the Bataclan concert hall. Ribet received a master of laws degree from the London School of Economics in 2014, and earlier did postgraduate work at the Sorbonne university in Paris. His law firm said he worked on the litigation team, specializing in white collar crime. "He was a talented lawyer, extremely well liked, and a wonderful personality in the office," the firm said. -Nohemi Gonzalez, 23, a senior at California State University, Long Beach. The university said Gonzalez, from El Monte, California, was attending Strate College of Design in Paris during a semester abroad program. Gonzalez was in the Petit Cambodge restaurant with another Long Beach State student when she was fatally shot, Cal State officials said in a news conference Saturday. A spokesman described Gonzalez as buoyant and extremely energetic. The university was notified of her death by French school officials and confirmed the death with her parents. Gonzales lived in the Los Angeles suburb of El Monte. -Djamila Houd, 41, of Paris, originally from the town of Dreux, southwest of the capital. The newspaper serving Dreux - L'Echo Republicain - said Houd was killed at a cafe on the rue de Charrone in Paris. According to Facebook posts from grieving friends, she had worked for Isabel Marant, a prestigious Paris-based ready-to-wear house. -Thomas Ayad, 32, producer manager for Mercury Music Group and a music buff who was killed at the Bataclan. In his hometown, Amiens, he was an avid follower of the local field hockey team. Lucian Grainge - the chairman of Universal Music Group, which owns Mercury Music - said the loss was "an unspeakably appalling tragedy," in a Saturday note to employees provided to the Los Angeles Times. 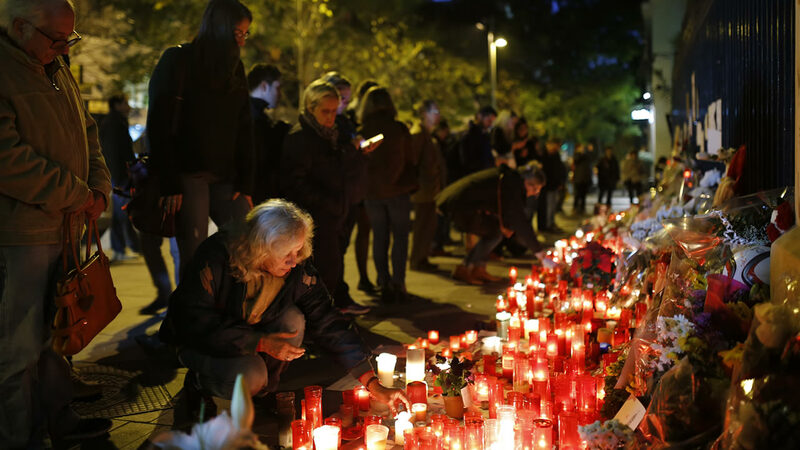 -Alberto Gonzalez Garrido, 29, of Madrid, who also was at the Bataclan concert. The Spanish state broadcaster TVE said Gonzalez Garrido was an engineer, living in France with his wife, also an engineer. They both were at the concert, but became separated amid the mayhem. - Mathieu Hoche, 38, a technician at France24 news channel, also killed at the concert. A friend, Antoine Rousseay, tweeted about how passionately Hoche loved rock 'n' roll. -Nick Alexander, 36, of Colchester, England, who was working at the Bataclan selling merchandise for the performing band, Eagles of Death Metal. "Nick was not just our brother, son and uncle, he was everyone's best friend - generous, funny and fiercely loyal," his family said in a statement. "Nick died doing the job he loved and we take great comfort in knowing how much he was cherished by his friends around the world." -Guillame Decherf, 43, a writer who covered rock music for the French culture magazine Les Inrocks. He was at the Eagles of Death Metal concert, having written just two weeks earlier about the band's latest album. He had two daughters. Paris and San Francisco are sister cities and on Sunday afternoon, French diplomats and San Francisco officials held a day of remembrance at City Hall.